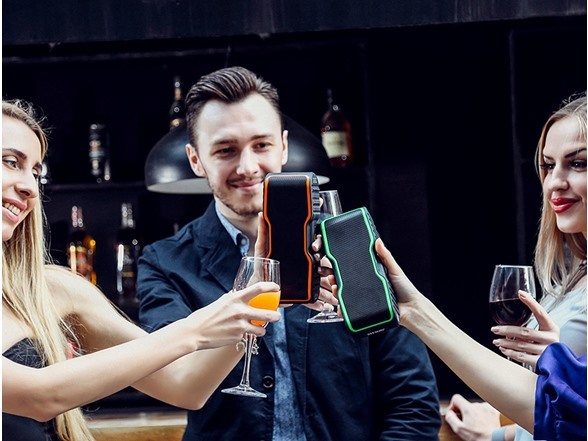 WATERPROOF IPX7:AOMAIS has designed and provided a fully waterproof speaker of the highest incursion protection degree of IPX7 (IPX7- Immersion up to 1 m for 30 minutes underwater). Some competitors may offer an IPX5 rating only at splash proof or light rain,not waterproof. 20W POWERFUL SOUND,STEREO PAIRING FUNCTION:Advanced digital sound,noise/wind reduction technology,and unique loudspeaker cavity structure deliver premium acoustic sound and crystal clear balanced bass. If you have two AOMAIS SPORT II Bluetooth speakers,connect them together to create left and right channels to enjoy 40 Watts surround sound after pairing. 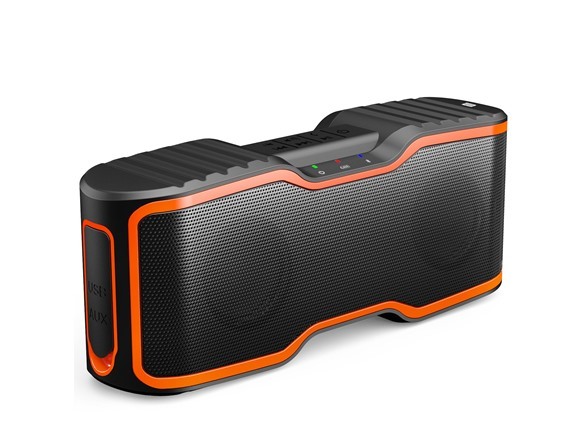 With Bluetooth 4.0 Technology AOMAIS Bluetooth speaker supports any Bluetooth-enabled devices and Aux-in function supports all digital audio devices with 3.5mm jack. Built in noise-canceling speakerphone takes calls. With added swim ring, AOMAIS SPORT II can float easily on the water and won’t sink. Perfect for the pool or beach. There is a 1/4″ 20 tripod mount for bicycle stands in the bottom of AOMAIS SPORT II.You can set it on your bike’s handle-bar, playing music and taking hands free phone calls while you ride. 1800 mAh battery with 8 hour battery life on a single 3 hours charge.